I feel like a broken record, but Amber is still in the latest dysautonomia flare with her heart rate not quite under control along with having finished her six week course of Reglan and now has to be off of it for at least three weeks before she can resume. The hope is that she can stay off all summer long, but we will see the GI doctor the first full week of June to assess her needs. Needless to say, it's not been the most productive school week. She's pushed on and on with things, but with the return of her insomnia and all day migraines, it's hard to ask her to do too much school work. Besides, the work she had done was not of the greatest quality. I'm not sure she actually learned anything and we will need to repeat some of that work. She did learn to make grilled cheese and boxed macaroni and cheese during a lunchtime cooking lesson with my mom. That was the biggest learning event of the week. We did have our May "Amber and Mom Day" this week, where we relaxed, had Subway for lunch, and played LEGO Dimensions at home. It was a guilt-free non-school day, and to be honest Wednesday was also a non-school day except for flute lesson. Amber woke with blood-shot eyes and I decided then that she could have an "Amber and Mom Day- Part II". Sometimes you just need a surprise pick-me-up day. Amber is still technically in 8th grade through next Friday, but she is chomping at the bit to become an official high school student. I don't have the heart to tell her that I won't begin recording hours toward her 9th grade year until July 1st, so all her June Summer school goes toward 8th grade. She probably realizes it though since we will technically be finishing a few 8th grade topics (like writing and literature). History looks to be coming in close and may finish next Friday, although Amber does have three medical appointments next week that will limit our available time. Still, I think next Friday at 5pm I will officially promote her to 9th grade, like all of her similarly aged friends. Waiting for her flute lesson and kitty cuddles. 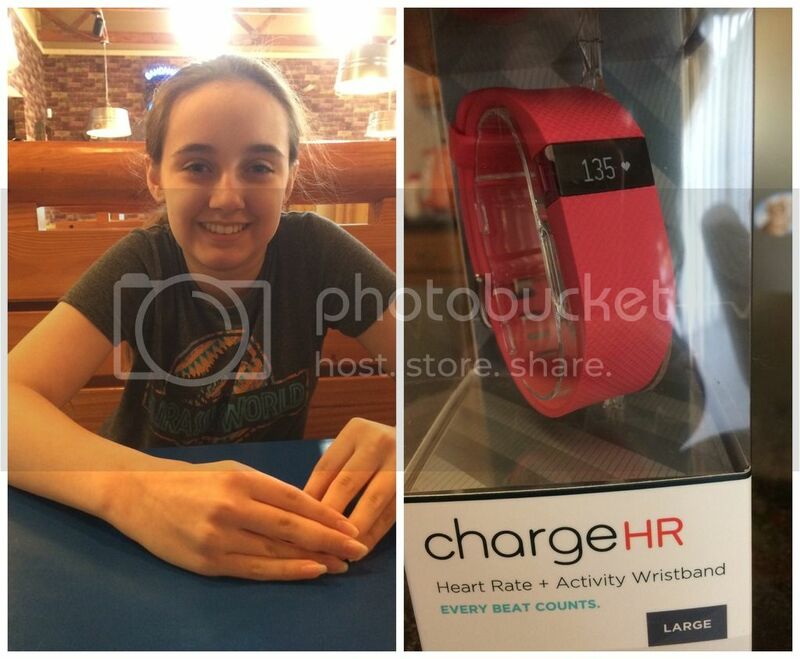 We ordered Amber a new Fitbit Charge HR - we use them to track her heart rate continuously in real-time. It is almost a necessity, especially when she exercises and at PT. Her original Fitbit Charge HR is still working perfectly a year later, but it is a tad small now. Last year I waffled on size, and ended up ordering her a small because the large was going to be on the tightest notch. She began using it towards the end of the band and a year later with lots of growth she's wearing it on the last notch for the proper fit - it isn't terribly comfortable with a tiny nub sticking out. She now has a larger size pink Fitbit to go with her small size purple one. Today Amber is going swimming with a friend at the indoor pool / natatorium at our community center. It's mostly water play and not really any actual swimming that happens. Still, it's exercise and it gets Amber out with a friend. Getting out for lunch, even though she felt crummy. It was a rare nice day. Tomorrow is my birthday - I'm getting old and beginning to feel it. I found out this week that the pinched nerve in my lower back, which has been causing a rather unpleasant amount of pain, is a result of a congenital spine defect. I probably should have looked into the nearly life long lower back pain before my mid-40's, but who has time for that. Surgery isn't necessary at this point, thankfully, but I'll end up seeing pain management soon. In case you missed it this week, I posted two reviews of quite possibly our favorite review items this year. Linguistic Development through Poetry Memorization from IEW and Traditional Logic I from Memoria Press. These are honestly two items we would have gladly purchased - one was on our planned list. We felt like we were plodding through our days this week too. I am sorry about your back pain. My mother has struggled with misalignment of her back, back pain, hip pain and damaged nerves for years. The only thing that ever truly helped her so far was a device called the backjoy. Maybe, you would like to try it. I don't have any real problems, but when my back is hurting from sledding or something, I sit in it and it when ever I sit down. It works every time in a day or two. How nice to move her up when she's so excited to be a 9th grader. I hope you have a painfree birthday weekend. I'm just about to turn 40 and dealing with shoulder issues. Definitely not fun trying to keep up with boys. Practical life skills are always good to learn! 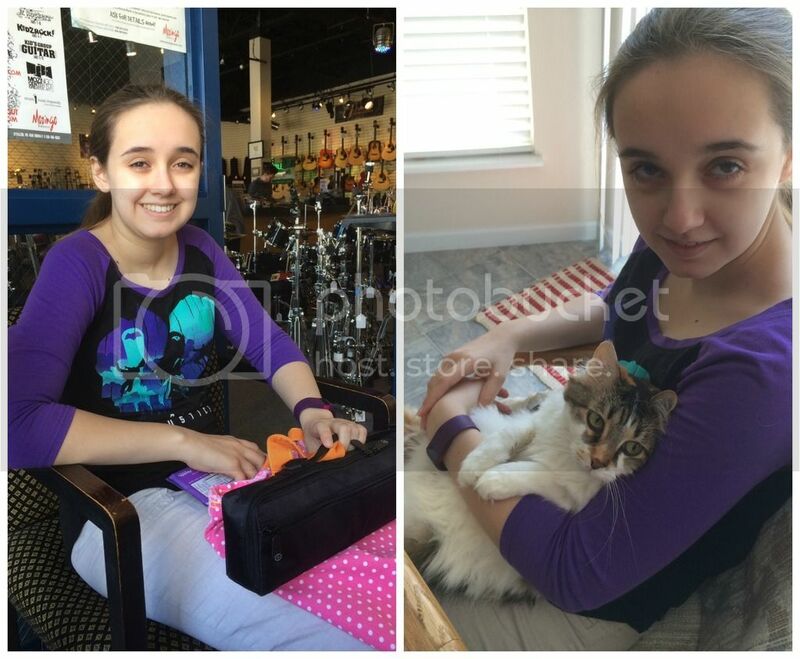 I hope you'll be able to manage your back pain and congrats to Amber for being promoted to 9th grade! High school!! Wow!! Life skills are equally as important as science and math. Love the picture of her and the car! Adorable! 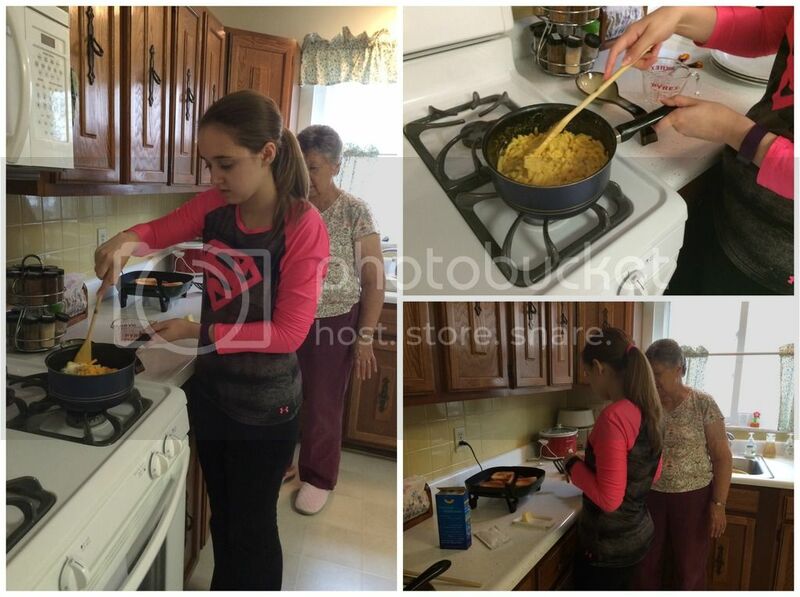 It warms me to see Amber learning to cook with her Granny. The very thought of cooking with my five would send my mum to an early grave! Yummy grilled cheese and mac and cheese! Two of my boys' favorites. How exciting that she'll be entering 9th grade soon.